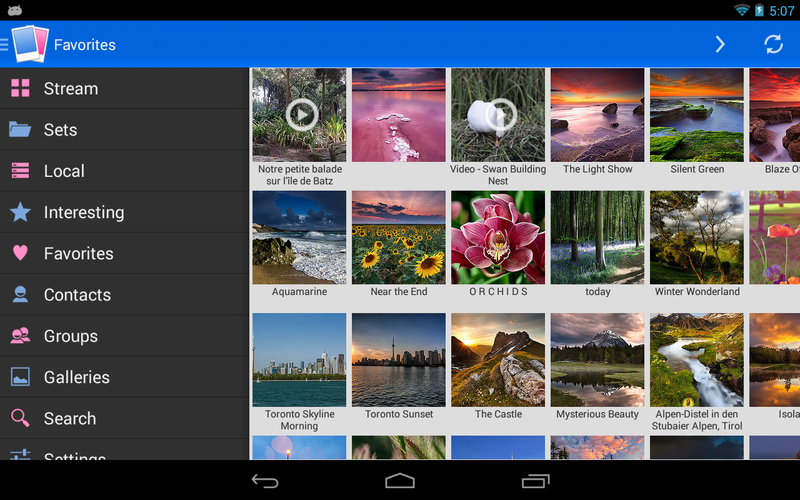 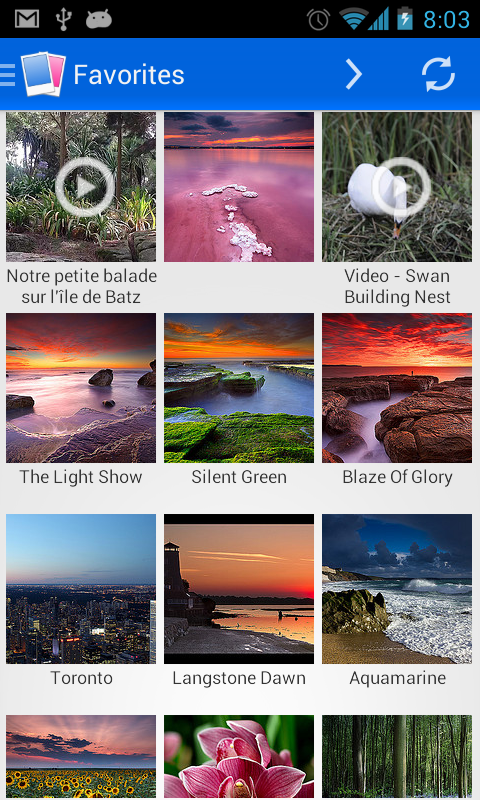 Starting with version 0.9.5, we added video support in Flickr Mobile. 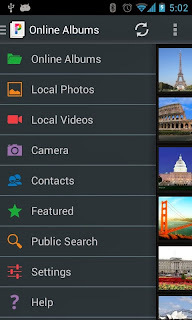 Upload your local videos to Flickr. 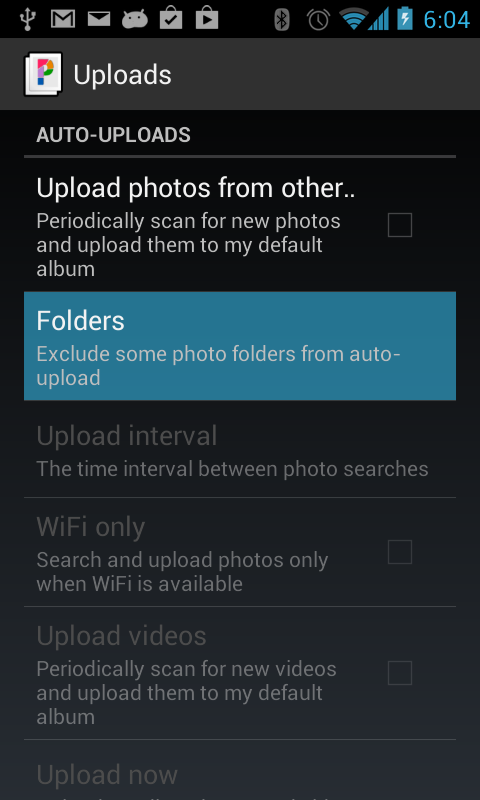 Please note that some 3GP video files recorded on Nexus devices may not be recognized by Flickr. 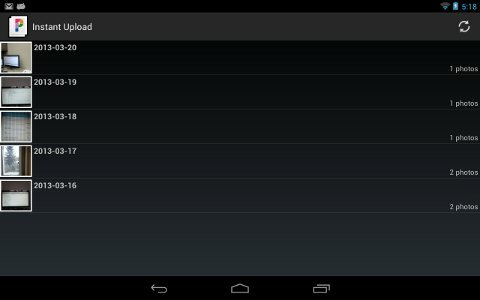 MPEG/MP4 video uploads seem to work without problems. 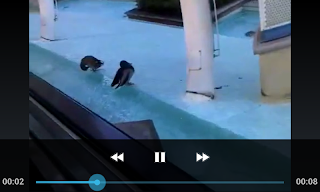 In thumbnail view, you can differentiate the videos by looking for the the usual "Play" icon. 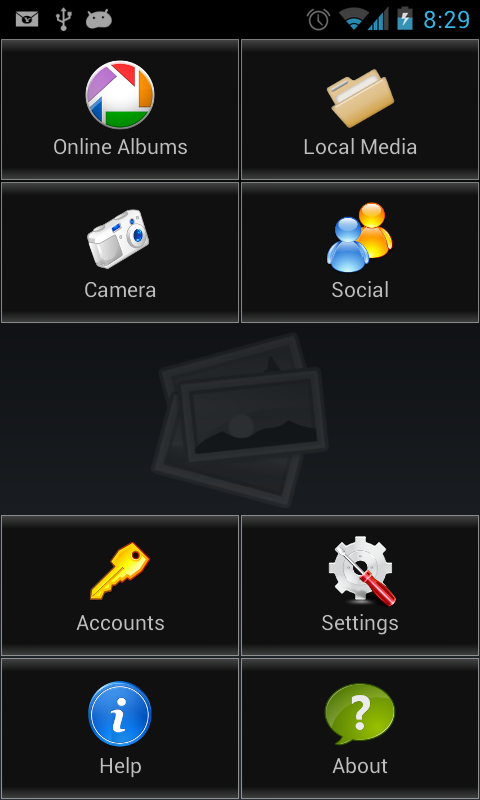 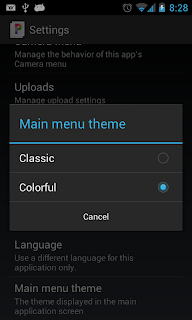 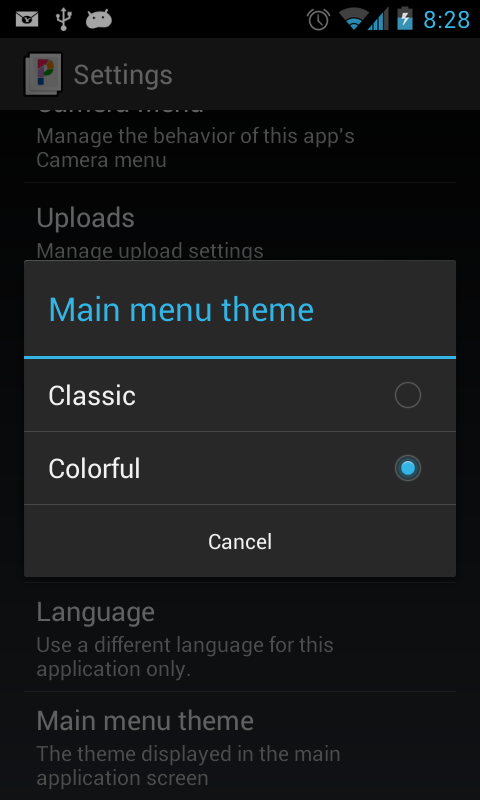 Starting with version 3..5.4, Picasa Mobile allows you to choose between two main screen designs: "Classic" and "Colorful". 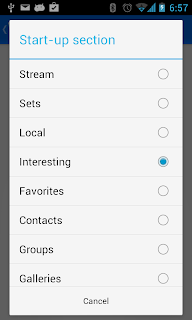 It would be extremely useful to know which one you like best, so please do not hesitate to leave your feedback here. 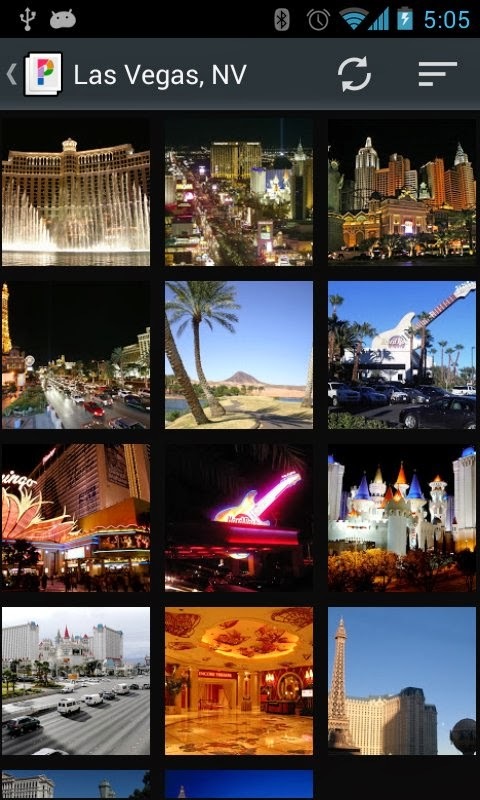 So, which design looks better? 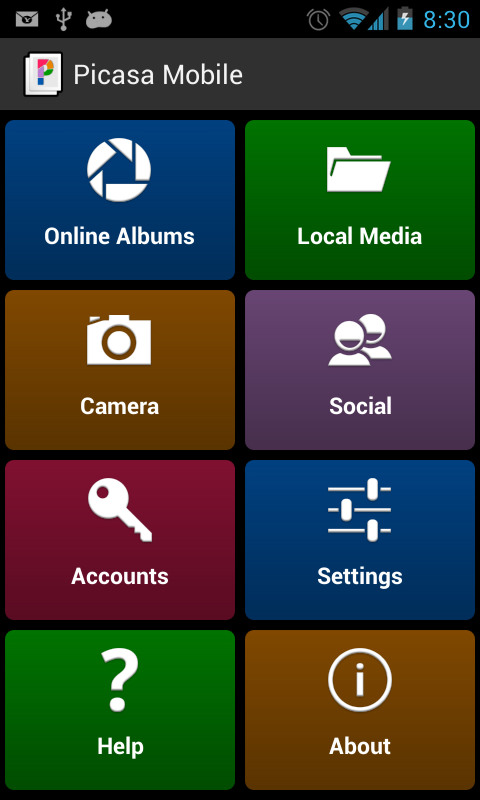 Added 2048 px resize before upload. 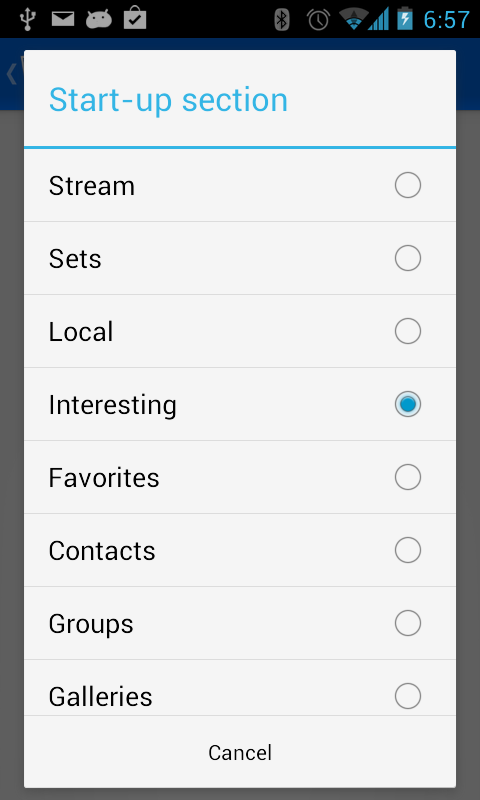 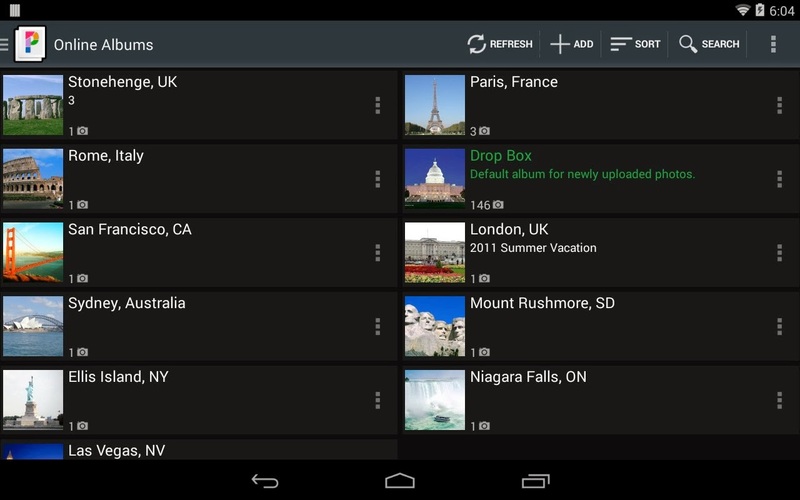 This is only available for devices running Android 4.0 and above and should be considered experimental. 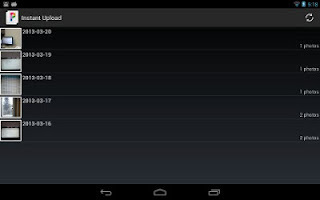 Fixed random crash when user exits a long loading task. 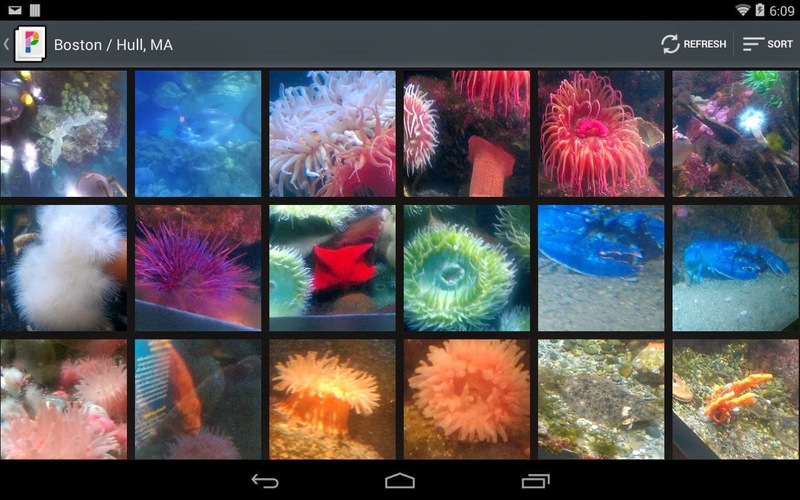 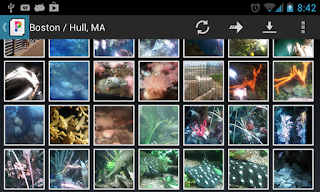 We just published a new version of Picasa Mobile, 3.5.0, which adds the following new features: setting photos as wallpaper, ancestral navigation and more web photo sharing option. We also fixed a bug occurring sometimes when deleting the last photo in an album, in full-screen mode. 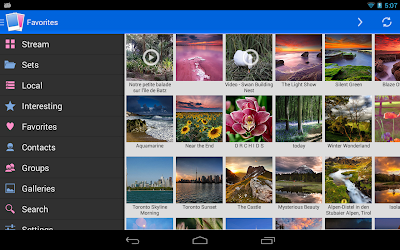 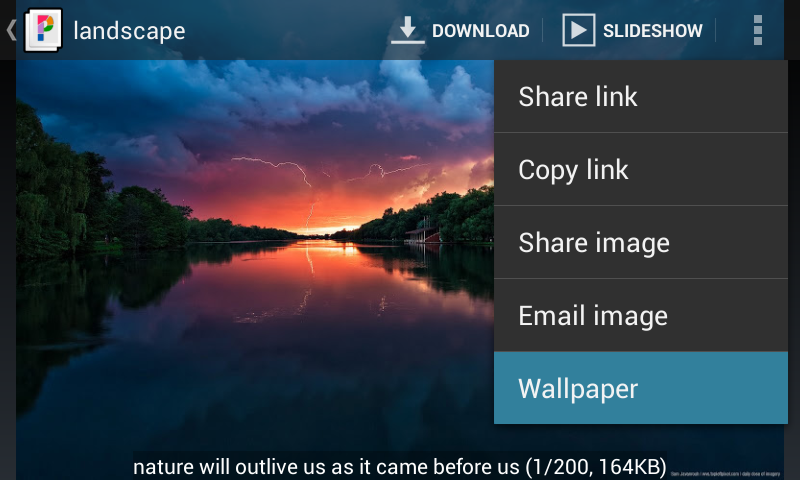 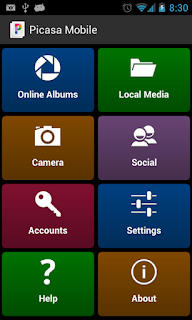 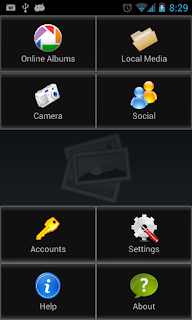 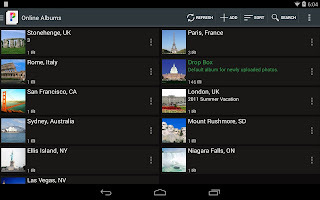 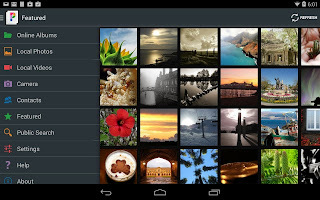 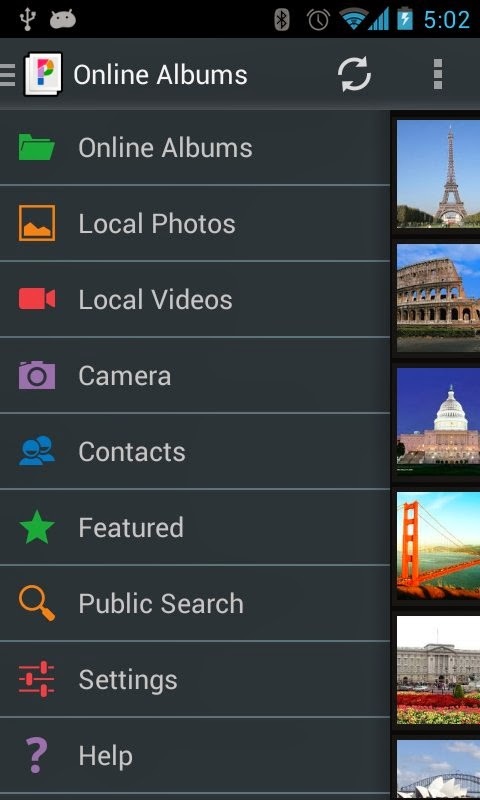 You can set any photo as your Android devices' wallpaper, including your online photos, your local photos, your contacts' photos, as well as any photos displayed in the Search section. Please note that Android will crop your photo slightly, to allow for the "slide" effect when moving from one home screen to the next. 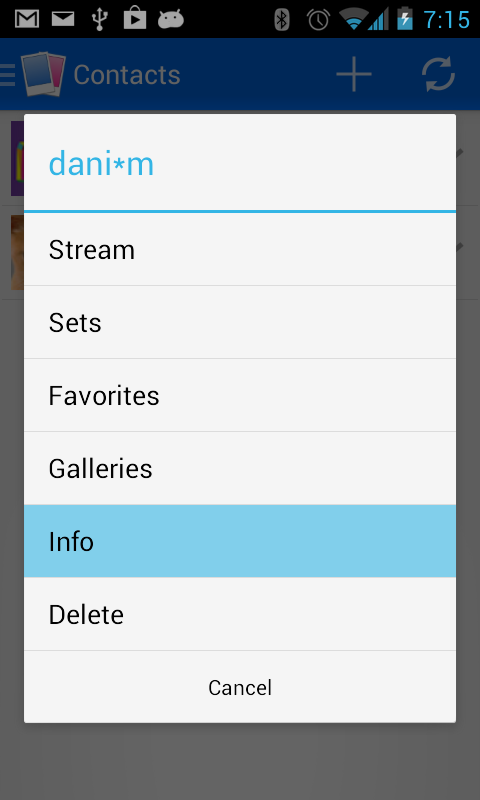 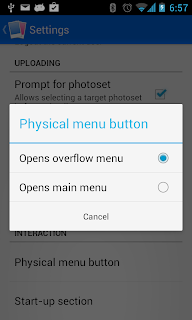 Ancestral navigation is just a fancy term for the "Up" button introduced starting with Android 3.0. 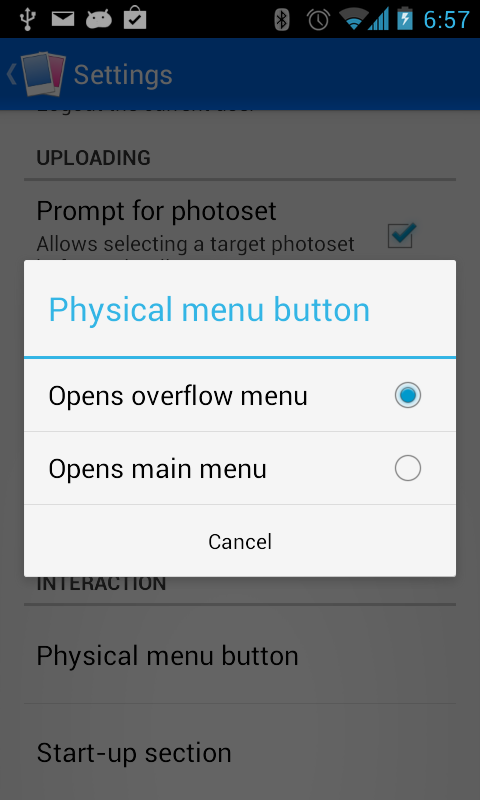 When pressing the "Up" button (see highlighted in blue below, in top-left), the app will go to the previous screen in the screen hierarchy. 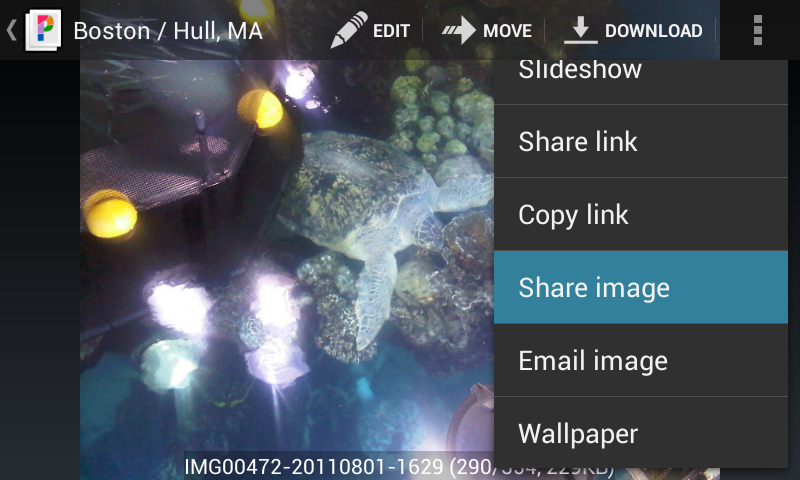 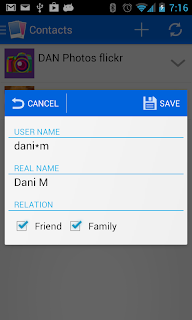 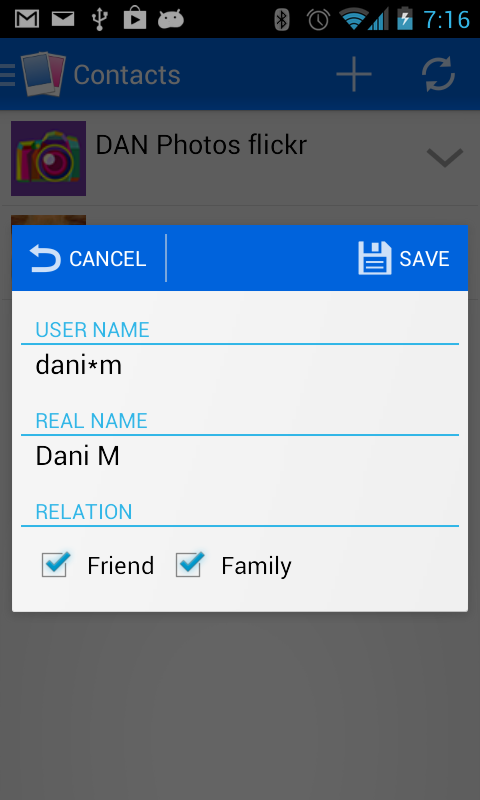 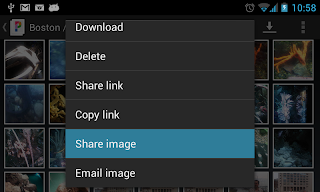 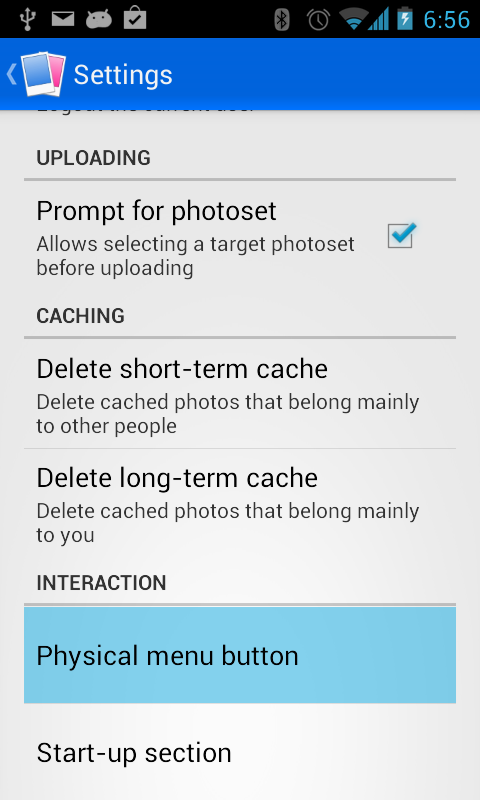 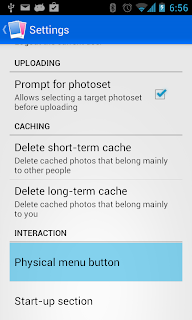 Picasa Mobile 3.5.1 adds the "Share image" option, complementing the existing "Email image" option. 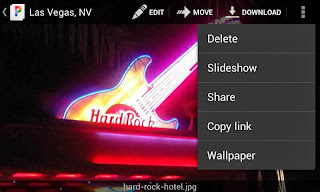 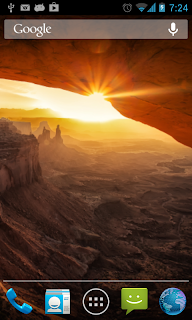 You can access this option either from the thumbnail view, by long-pressing on a thumbnail, or from the full screen view, by using the options menu. 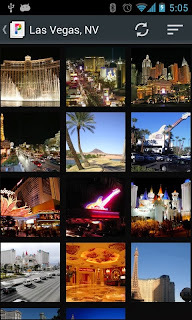 We also tried to implement "set photo as album cover" - unfortunately this operation is not available in Google's Picasa Web API. 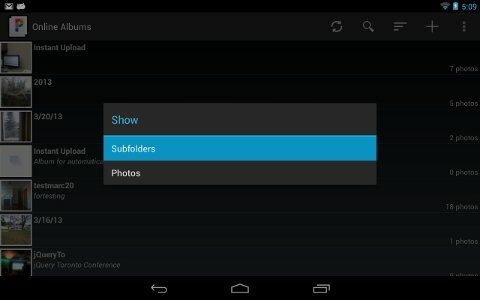 Hopefully, they will make it available at a later time. 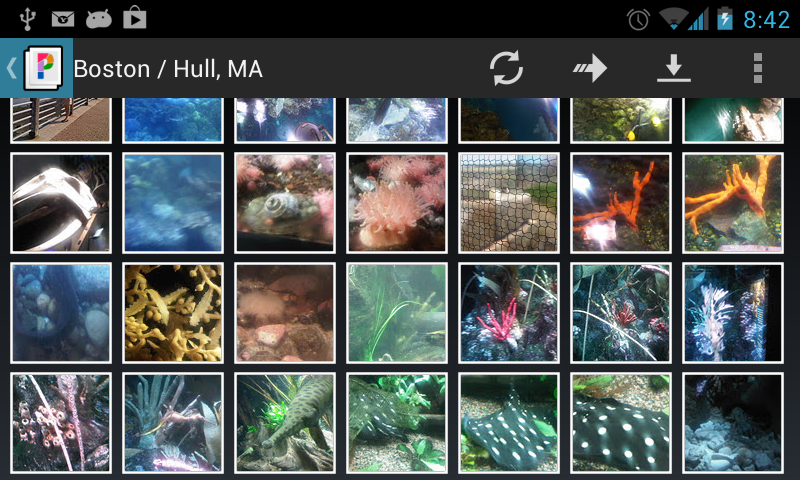 We also fixed a bug occurring from time to time when deleting the last photo in a web album, in full screen mode. 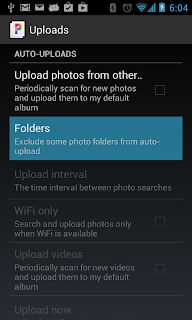 There seems to be an issue on Google's side preventing users from moving photos that reside immediately under the "Instant Uploads" albums. 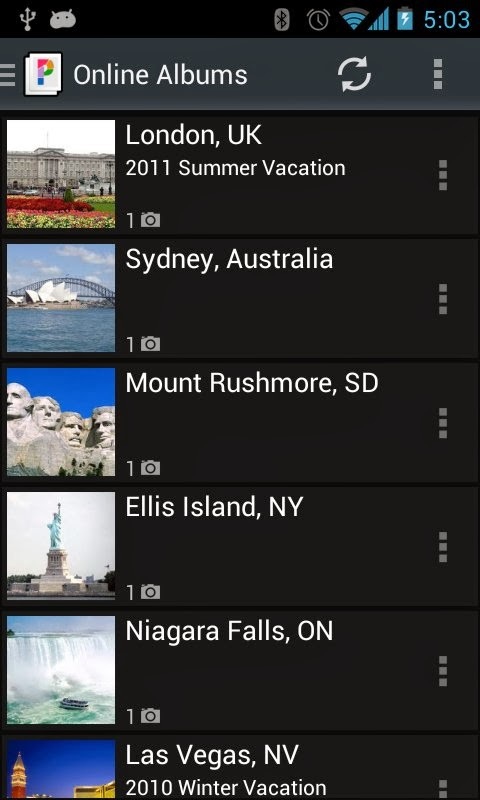 Then, locate the correct date-based sub-album and move the photo from there. 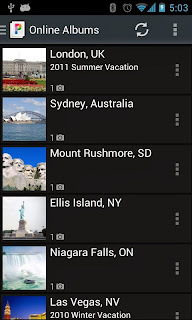 For those technically inclined, I posted the detailed explanation of the issue on Google Picasa Web Albums API group: https://groups.google.com/forum/?fromgroups=#!topic/Google-Picasa-Data-API/NRue29DnL6s . 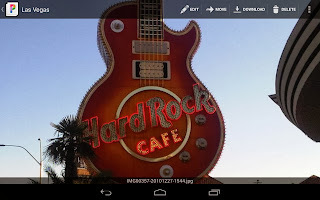 Hopefully, someone from Google will take a look at it.